Investigation: The first “completely public” rural township alerted the State Council. The State Council already telephoned the People’s Government of Sichuan province. It requested the Bazhou District government office to publicize the matter on the Baimiao Town’s operational cost, and to write a special report to the State Council. This article is a translated version of a Chinese post from China Network, a Chinese website. Original title: diyi quanluo xiangzhen zhenjing guowuyuan. A telephone startled this man. “You, attention, you were already speculation by the network.” On March 15, a friend makes the phone call in the morning. He had not thought that the matter will develop this situation, does it will be an accident? He said that he has lacked self-confidence from that moment. “Whatever, the public announcement will certainly to continue, the present is in the budget. In the future, extra-budgetary, the project funds, government’s other income also will be announced.” He said. This man is Yingshang Zhang. 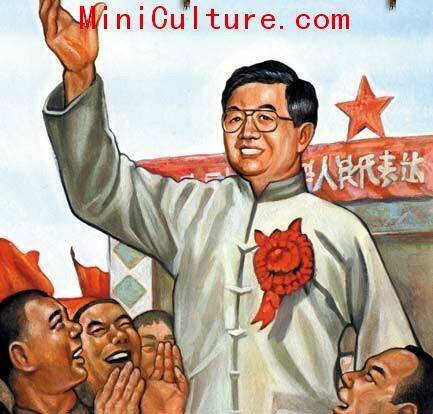 In September, 2007 he was transferred to Sichuan Bazhong Bazhou District Baimiao Town, he was assigned as secretary of party committee in Baimiao town. BaiMiao is Bazhong’s Impoverished town, which was he has instigated so-called first “entire bare” township. This year in January, February Baimiao town open out the operational costs on the network publicly. Newspaper reporter started several day-long thoroughly investigates in Baimiao town. Baimiao Town located at the edge of the Bazhong Bazhou distract’s Northeast. It is 50 kilometers away from the Bazhong city. There is only one path to the government, one side is the mountain massif, and the other side is the mountain valley path, the vehicles speed will not surpass 70 k/m generally, when the vehicles cross, the dust and the crushed stone flying all the way, on the mountain, the oil cauliflower are available obviously – – “this road like this already more than 6 years.” The driver said. “What publicized? We do not know.” After seeing reporter, surrounds several villagers said. On the road, the villagers did not know mostly about the matter. Compared with hotly discussed on the network, the villagers respond desolately. The Baimiao Town announced operational cost, on March 12 was first discovered on the network. But reporter arrives on 16th the morning, on the government public announcement fence, there is no details of the announcement. Why announces not first in the native place, but on-line? Facing reporter’s inquiry, Yingshang Zhang spoke frankly that they worried the native people do not satisfied the action, if the entertainment expense surpass 500 Yuan, the common people will curse at people. People who works in The Baimiao Town’s Financial institute told the reporters, although we has announced the operational cost, but its total project funds and the special fund are not announce. This is a key point. “We are concerned about is the township road fund-gathering section, why doesn’t have publicly.” Reporter interviewed a number of villagers said. March 16 began, Yingshang Zhang was very tired, on occasion, and using the laptop listening to music, only after a few days publicity, Yingshang Zhang feels pressure from some cadres. Does Baimiao town’s action be able to promote or not? A cadre said it would be easier done in central and western area.